Home > Blog > Safety Tips > Is Your Tree Sick, Dying or Dead? 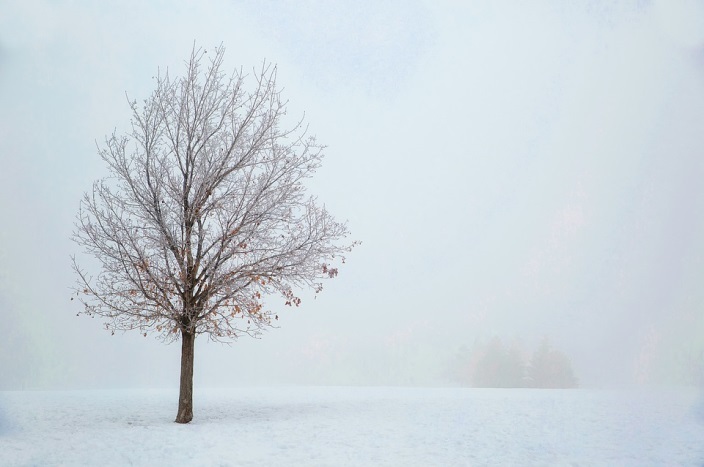 As the winter season continues, the cold weather may cause you to worry about the condition of a tree on your property. Winds and shifting soils may cause weak dead trees to fall, so it’s important to contact our emergency tree removal services to remove hazardous trees. Here are two steps you can take to see if your tree is sick, dying or dead. Walk around the tree and note any obvious symptoms. Open cracks or splits through the bark are signs that your tree’s health is beginning to fail. Do you see any fungus growing on the tree? Trees typically rot from inside out, so fungi growth on the outside of the tree is the best indication of tree rot. As you visually inspect your tree, pick a twig or branch from the tree and break it. The wood beneath should be a bright green. A twig or branch that is dry or brown is a clear sign that your tree is dead. Make sure that you test multiple twigs and branches, because you may just have a particular section that is dying. If you are unable to grab a twig or branch, you can also scratch the bark of the tree trunk. Keep your home and business and those nearby safe. Contact DKIServices.com for our emergency tree removal services if you have a damaged or hazardous tree on your property.